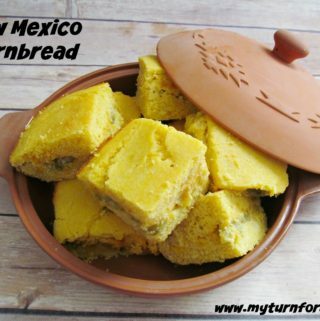 This recipe is a different take on a Mexican cornbread recipe but instead of jalapenos, we added green chile. Green Chile is synonymous with New Mexico where the state’s motto is “Red or Green?”. The question “Red or Green?” in New Mexico is asking the color of your chili preference. Some say your answer also determines whether you are from the northern (red) part of the state or the southern (green) part. And even though the Red chile sauce is delicious, my favorite is the green Roasted Hatch Green Chiles. 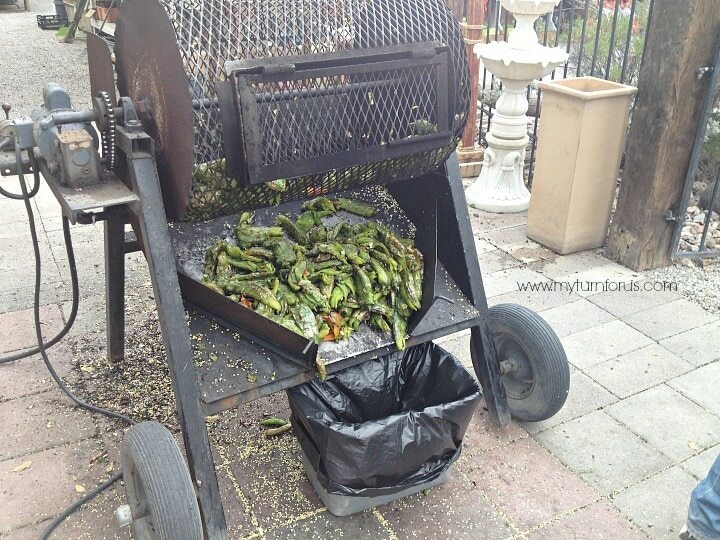 Throughout New Mexico the fall air smells of roasting chiles, these chile roasters are set up at most supermarkets, farmers markets and on street corners. We all have our favorite vendor where we go and buy a huge bag of chile and have them roasted on the spot. We then package the chile in vacuum bags and freeze so we have fresh roasted chile for the year. But if you don’t live near a neighborhood chile roaster than these amazing flame roasted chiles can be purchased online with Amazon here. 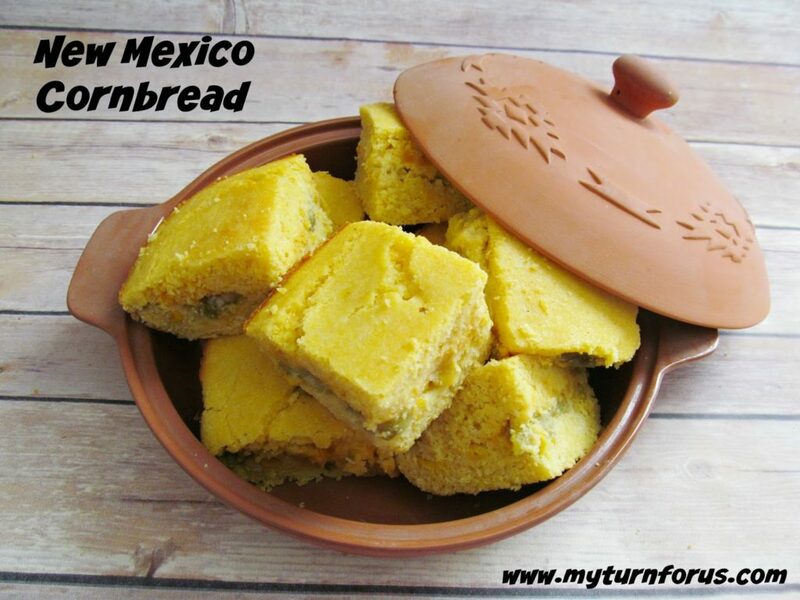 This is Mexican cornbread recipe is taken up a notch or two, or is it three? Cornbread with a center of cheese, roasted green chile, and whole corn. 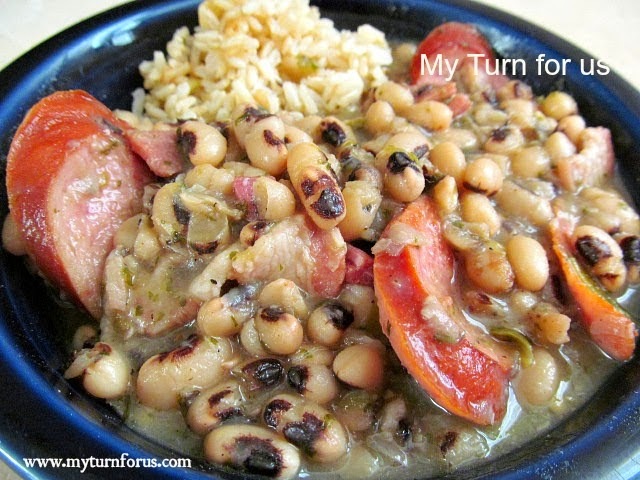 It’s great with Soups, Stews or Chili, beef stew or a big old pot of Texas Pinto Beans. Cover with the remaining cornbread batter and spread to cover the corn, green chiles, and cheese. We love cornbread and this version looks perfect! Evelyn, I love the chilis in this! Wow!! MMM so yummy! Looks really amazing, I have to try to make it at home.